Going to try and update this thing a bit more frequently. Sorry peeps. 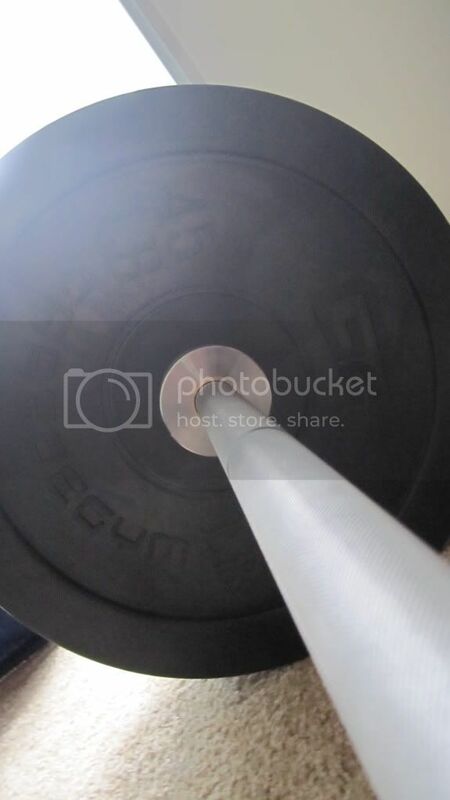 Picked up some weight! Garage Gym 240# set and a Rogue Burner Bar...Choice! Pizza the turtle. Yeah... Random. Speal making the rest of us look bad. Finally something worth adhering to! Ketogenic diets and physical performance - Phinney, S.D. This wasn't an overly long article (which was nice) to read but it brings up some important points and limitations involved in scientific studies of diet. There have been numerous studies done on diet and athletic performance. 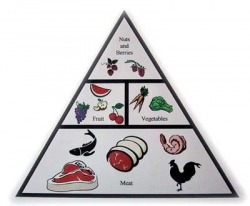 Many include a high and low carbohydrate diet. This is a popular option due to the fact that many hunter-gatherer populations eat/ate very little carbohydrate and yet are in great physical condition. Adding to the mystery is the case of the Inuit, who happen to eat little to no carbohydrate at all, and subsist almost exclusively on animal sources of food. The author briefly mentions the previous "knowledge" of athletic diets that included high or low carb diets and physical activity. Many of the early studies included taking western athletes used to high carb diets and putting them on low carb diets for less than a week and monitoring their performance. The author later points out that we shouldn't be surprised that a low carb diet is not a magic bullet for athletic performance and that all interventions take time. Historically, with a brief look at the literature, we can see that adaptation to a ketogenic diet takes a minimum of 2-3 weeks. The author cites 2 studies he conducted that lasted 6 and 4 weeks with untrained and trained populations respectively. Both populations noticed a decrease in their performance followed by adaptation to the diet, followed by an increase in their abilities with regard to sub-maximal efforts (endurance efforts on a treadmill or cycle-ergometer). I believe this article reveals just how difficult it is to conduct a quality experiment that would be approved by the scientific community without having too many confounding factors. It shows the short comings of studies (as the ones that discouraged a low carb diet after evaluating it for less than a week) in being too ultimate. For me, the study seems like a relatively objective look at this subject, and the author expresses his desire for more study into the area. Unfortunately for those of us who aren't endurance athletes (almost all of us reading this?) the effects of a ketogenic diet are postulated to reduce work capacity due to the reduced muscle glycogen. What I want to look into: low carb/high fat diets and their ability to restore muscle and liver glycogen post-exercise. The source of glucose/fuel while consuming this sort of diet. The effect of glycogen status in muscle to the ability of the muscle to maintain/gain size/strength. Fuel sources during a CrossFit WOD are most likely the free ATP, phosphagen system and anaerobic lactate pathway. So why wouldn't having adequate muscle glycogen stores be beneficial? Do you need to consume the ridiculous amounts of carbs advised by conventional wisdom to maintain/optimize those levels of muscle glycogen? So I finally finished reading this book. I interrupted myself with a few other books while reading this book, so forgive me if I confuse them all. Michael Pollan is a great journalist and is VERY knowledgeable about nutrition. I do recommend reading the book, although it IS a little slow. The book doesn't come off as preachy and doesn't lay down a lot of rules. He presents some guidelines by which to eat, but doesn't lay down the law. In this respect I do find the book a little apathetic. It isn't easy to make recommendations that you can stand behind 100%. The literature is so varied that I'm fairly certain if you looked hard enough you could probably find an article that shows that glucose intake doesn't increase insulin levels, or that smoking prevents cancer. So in that regard the literature is a little... sad. So Pollan doesn't make any passionate recommendations other than to passively state that to probably achieve greater health we should "Eat food. Not too much. Mostly Plants." With this regard he's right. Pretty much everything he says is "right". What I don't like is the stigma associated with eating meat. He barely addresses the health benefits of meat. He mentions that most meat these days is factory farmed, pumped full of grains and is then not really being utilized the way it should be. 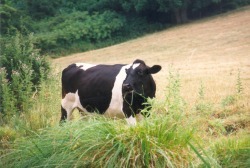 He doesn't however emphasize the fact that properly raised and pastured animals are very healthy sources of calories. Oh well. The book can only be so long. If you're interested in the topic of pasture fed animals I recommend The Vegetarian Myth, by Lierre Keith. My favourite parts of the book involved HOW we eat and the effects of growing your own garden. How we eat is pretty sad, really. According to Pollan the average American (and I assume Canadians aren't far behind) eat 1/5 of their calories while driving. We no longer sit down together and eat as a family (glad I'm not part of that average). And North Americans tend to stop eating when their plate is empty, since they can no longer recognize being full. Growing a garden gives us fresh, "organic" grown produce for relatively cheap, but it also connects us to our food. At least minimally, seeing where your food comes from, watching it grow, and tasting fresh picked fruits or vegetables is a great experience. Unfortunately its an experience that is becoming more and more unknown. We've become removed from where our food come from and what it means to eat and enjoy it. Finally, I want to finish this with something I read from one of the books I've read lately. A large group of Americans did word association with "Chocolate Cake". The number one answer was "guilt". What was the number one answer among Europeans? "Celebration". Oh yeah. Element Crossfit (Mississauga) has begun a program where they issue a challenge workout on every other Friday. To be eligible you need to video your workout and post your results to their webpage. There are prizes for the top man and woman of each challenge. This is a great oppurtunity to take your intensity to the next level! Competition as long as it's constructive is great for increasing your ability to attain results. I may be alone on this but I doubt it... I watch the video's of Speal, OPT, Everett doing the wods before I do them to see what the ELITE people are getting on their times. Then I try to make a reasonable goal that is better than my last time (if I have one). This type of self competition is great for morale and for seeing results. So I think everyone who has the ability and chance to submit a video of their workout (or even just their stats for it) should! Cheers! OPT does a sub-7 minute Helen. Hello all... So I've been seriously spending all my waking hours when I'm not eating, adjusting, doing paperwork or working out (all of which probably add up to a few hours or so per day), reading books, articles, and reviews on nutrition including many different topics. Most recently they've had a lot to do with vegetarianism and protein intake. Most people who know me know my opinion on the matter. humans have canines and incisors for a reason; We're omnivores. Not to mention we have the digestive systems of carnivores, not herbivores. Recently I read "The Paleo Diet" by Loren Cordain, "The Vegetarian Myth" by Lierre Keith, "The protein debate" which includes input from both Cordain and T. Colin Campbell (which can be found here: http://www.cathletics.com/articles/proteinDebate.pdf) and many other things. 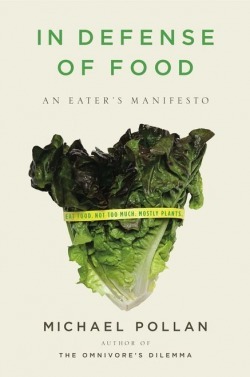 I have also read some very small exerpts from "Diet for a Small Planet" by Frances Lappe. Forgive me if I make incorrect inferences regarding her stance on nutrition. The main thesis put forward by Lappe and by many vegetarians is that meat is not a required element of human diet and that it is a very inefficient source of protein. It is true that "complete" proteins can be put together by combining rice and beans. Unfortunately the amount of "complete" protein made by doing so is negligible. I also question how "complete" it is. It seems that Lappe believes meat (in particular she mentions beef) to be inefficient when we take into consideration the amount of grain it takes to produce a cow versus how many people that grain could sustain. That would all be good and true if those people could be sustained purely by the grain, but nutritional deficiencies would be abundant in that situation. The main flaw in this argument is that it compares grain-fed cattle to vegetarianism. While currently the majority of cattle being produced and slaughtered for meat ARE grain fed and factory farmed, this doesn't mean it is how the cows are meant to live or be produced. They're simply produced that way because corn maks cows bigger and fatter, faster than their native diet of grasses. Unless I'm mistaken, the entire point of eating ruminants (like cows) is because they eat and digest the grasses that we cannot. 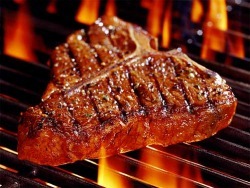 Then, after a certain point, we take advantage of this fact and kill and eat the cow. In a sustainable, perennial polycrop (i.e. nature) cows live in abundance and although they will grow slower, they will still grow without the ill effects to the environment or their nutritional profiles (THAT'S a whole other story). So why don't the vegetarians ever consider this population of meat? it's sustainable, natural and doesn't destroy the environment. Lierre Keith does a much better job making this argument than me, so I HIGHLY recommend reading her book. Until next time... stay fit and have fun! handstand, pirouettes, flips, splits, and holds. as creativity will allow. Routine is the enemy.